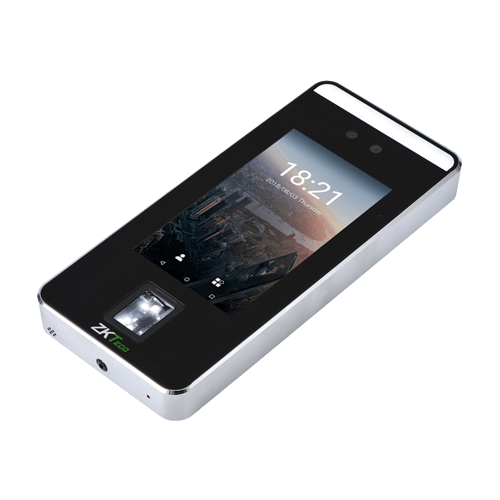 Starter Facial Recognition Terminal with 5-inch Touch Display. · Enhanced Visible Light Facial Recognitoin with Deep Learning built-in. 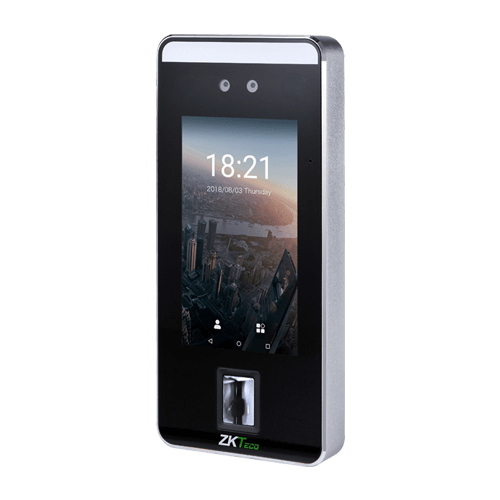 · Multiple verification with Fingerprint, RFID and Facial Recognition. 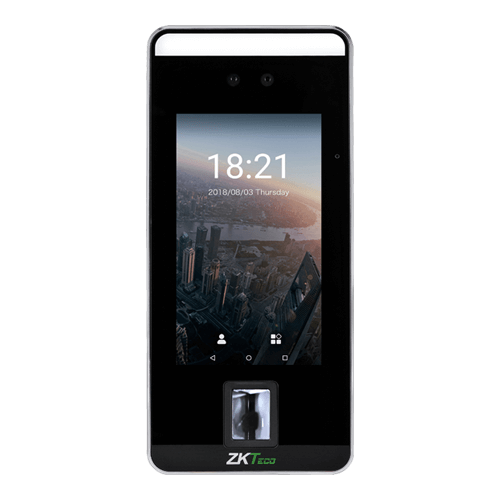 · Dual-camera for real-time face detection. · 6,000 face templates capacity. · Recognition distance: 0.3 – 3 m.
· Compatible with external RS232, RS485 and Wiegand reader. · TCP / IP, Wi-Fi communication.